Tired of paying top dollar for machine made art canvases? Learn procedures for making perfectly tensioned, squared, primed canvases with Al B, artist and engineer. 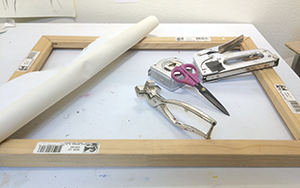 Students can expect to leave this workshop with one finished canvas.